Suzuki has officially launched the 2019 Intruder in India at the starting price of Rs. 1.08 lakh (ex-showroom). The company has made some tweaks for the new model as it gets updated gear shift design along with improvised brake pedal. The Intruder will also be available in a new Metallic Matte Titanium silver colour scheme. Apart from this, the company hasn’t made any other changes on the Intruder. The cruiser model was introduced in 2017 with great expectations as it follows the similar design theme of its bigger siblings. Then the company introduced the fuel injection variant of Intruder at the 2018 Auto Expo and it was priced competitively. The model also received the ABS braking system as all motorcycles above 125 cc must come with the ABS as part of the standard package. To improve sales, Suzuki introduced a special edition SP variant during the festival season of last year but it hasn’t appeared to have received well. 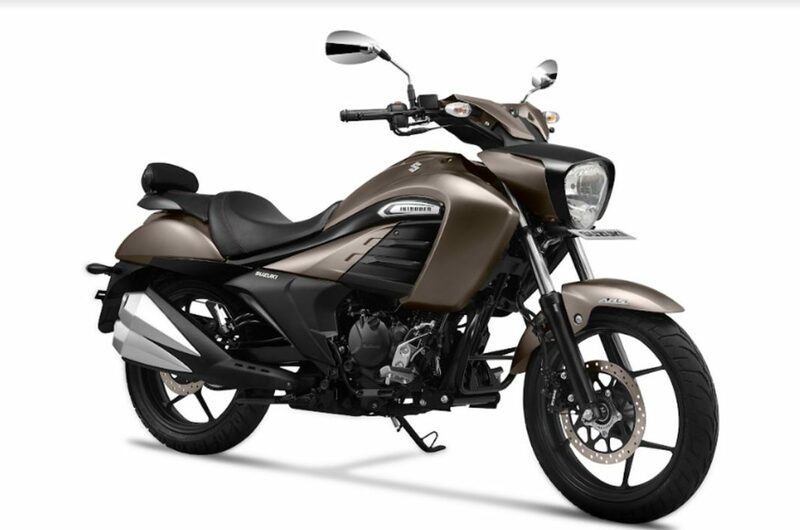 The introduction of the new model might help the company to improve sales and the cruiser also come with pillion backrest as standard along with Intruder badging in it. 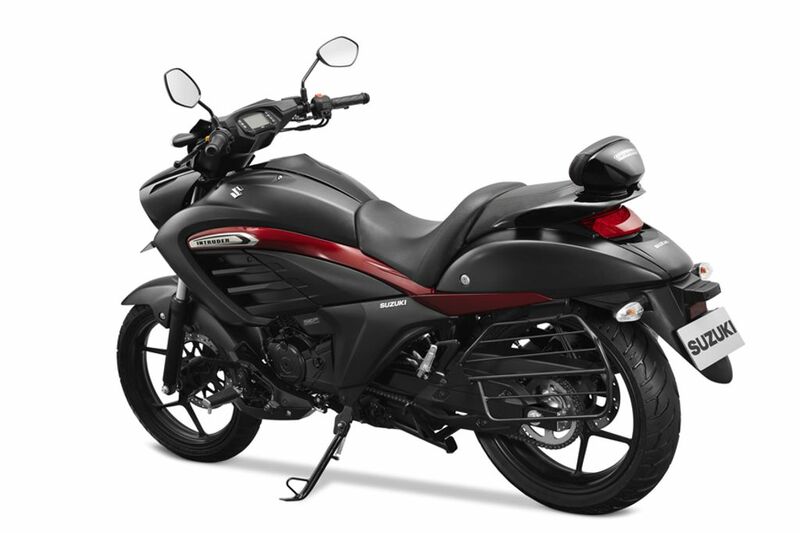 Suzuki Intruder measures 2,130 mm length, 805 mm width, 1,095 mm height and 1,405 mm wheelbase. The bikes tip the scale at 148 kg and it has 11 litres of fuel tank. The Intruder is powered by 154.9 cc single cylinder engine with carburettor and fuel injection, this same engine is also used in Gixxer series and it produces 14.8 PS of power at 8,000 rpm and 14 Nm of torque at 6,000 rpm. This engine is mated to a 5-speed gearbox and the engine has been tuned for cruising rather than performance. The cruiser comes with telescopic suspension at the front and mono-shocks at the rear. The handlebar is placed slightly higher with lower seats along with foot pegs, which are positioned forward gives a comfortable riding position. The company has given disc brakes at both ends with 17-inch alloy wheels and 100 section tyre at the front and 140 section tyre at the rear.